It was a wedding day. The date was February 24, 1955. 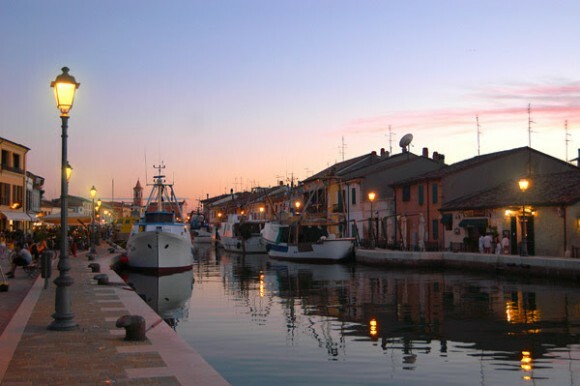 The place was Cesenatico, a fishermen’s village on the northern shore of the Adriatic Sea. In the summer the broad beach is covered by rows and rows of beach chairs rented to the sun lovers who come down in great numbers from Germany and Scandinavia. On that winter day, Cesenatico’s streets were as empty as its beach, only a few bicycles moved. The bride was Marcella, a local beauty. The groom was Victor, born in a town nearby, but brought up in New York during the Second World War. In the morning, Marcella and Victor walked from the villa of the bride’s parents to the City Hall where they exchanged brief vows. There were also two witnesses, Marcello, a childhood friend of Marcella’s, and Gianni, her one-time and unsuccessful suitor. The newly bonded couple walked back to the bride’s villa where her mother made the wedding lunch. The first course was cappelletti in capon’s broth and there were two second courses, the capon itself and for Victor, who doesn’t like fowl, veal roll ups, for which the mother was celebrated. They were stuffed with pancetta and grated Parmesan cheese and served with a light tomato sauce. The dessert was pastries offered by a friend of the family, the local baker. There were six at table, Marcella’s mother and father, the witnesses, Gianni and Marcello, and the bride and groom. Victor’s parents, who disapproved the marriage, did not attend. Marcella had two post-graduate degrees in the sciences from the University of Ferrara that permitted her to teach mathematics, biology, and chemistry at a state middle school a half hour’s train journey away. It was her first year as a teacher, and her salary was just sufficient to pay for the train fare. Victor had no occupation, nor did he know if he could find work in Italy, and if so what kind of work it might be. He vaguely thought he might become a writer. Marcella and Victor had no place of their own, no perceptible income, no clue to how they might make their way. They had love. They lived in love for just short of sixty years. Victor. Next Post San Marzano Tomatoes, just off the Boat from Naples!